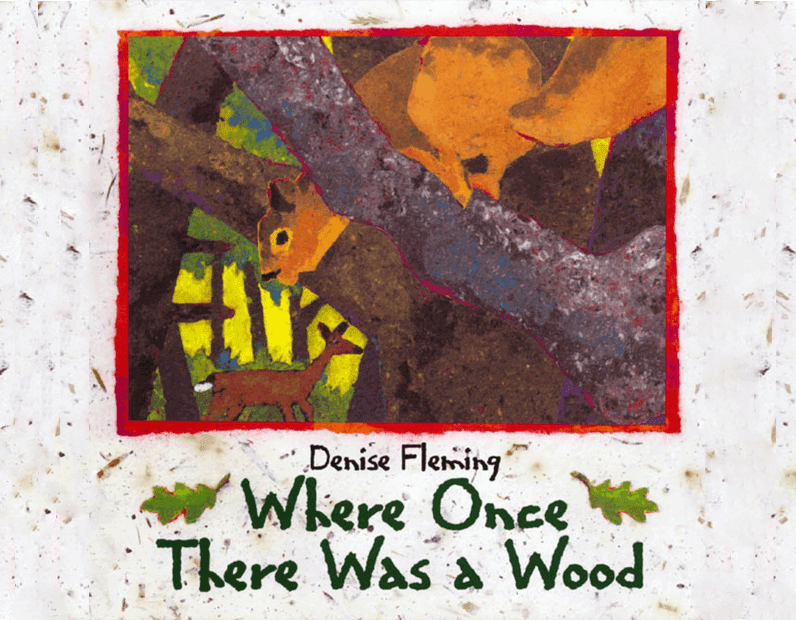 I'm a big fan of Denise Fleming and own several of her books. This one is a favourite and is perfect to read on EARTH DAY! A powerful poem and stunning, handmade-paper art encourage children to protect nature. Inspired by events in her own backyard, award-winning author and illustrator Denise Fleming creates a poignant yet hopeful portrait of our disappearing natural environment. 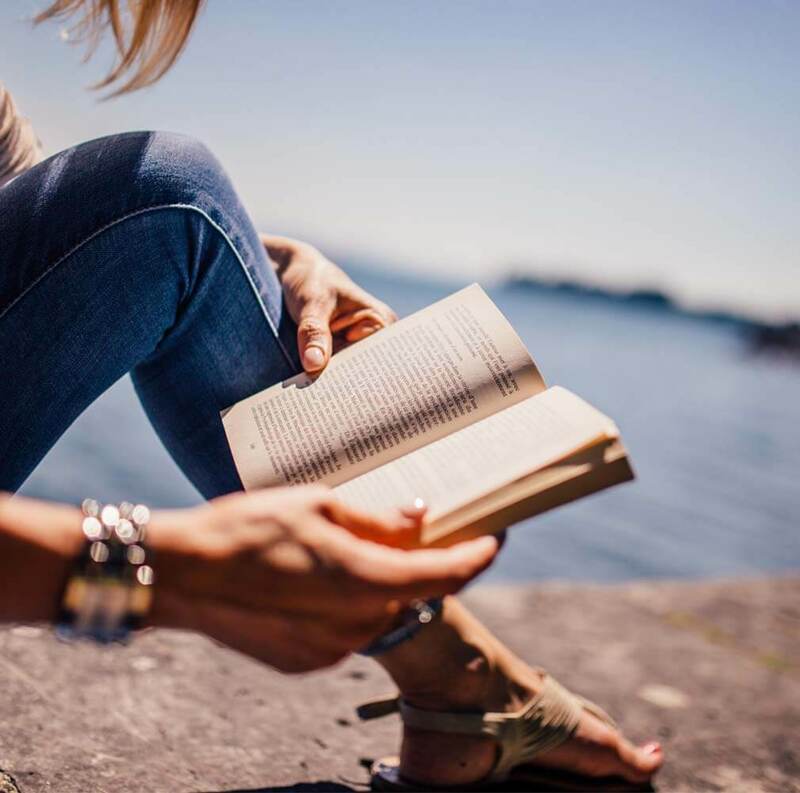 The last pages of the book teach children how to make a more "creature friendly" backyard, including information about what types of food, trees and flowers attract different kinds of animals. 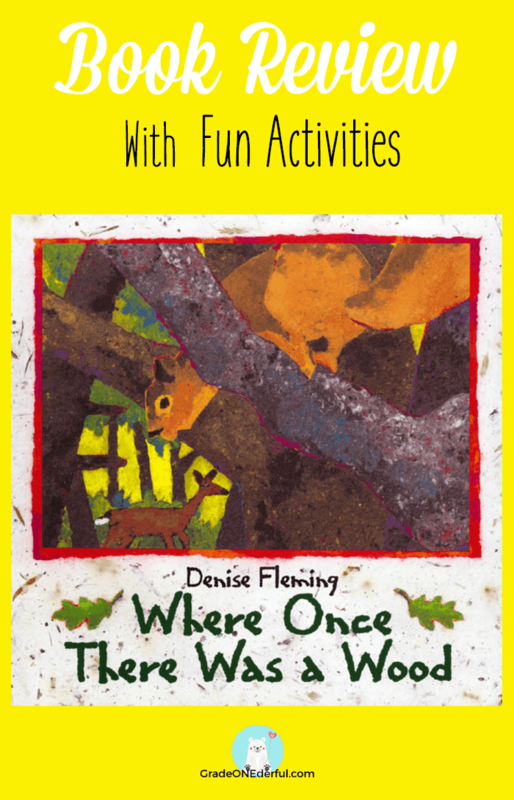 Where Once There Was a Wood also includes an informative bibliography for budding environmentalists, and suggests various projects that families can do together. Why I Love This Book: The artwork, in true Fleming fashion, is beautiful. The handmade-paper look gives it a very earthy feel and accentuates the mood and message of this lovely poem. The message is simple and easy for young children to understand: When houses and buildings are erected, habitat is destroyed. But DON'T WORRY! The over-riding message is one of hope and action (there are several great suggestions at the end of the book for different ways to provide new homes for wild creatures). And in all the times I've read it to my class, the kids were simultaneously thoughtful and jazzed about all the ways they can help. Visit a Nature Centre and talk to the naturalists. Plant a variety of trees and bushes in your backyard to provide food and shelter (e.g., needled evergreens - to keep animals warm in the winter, berry bushes - for food, hiding, and nesting). Less than tidy yards are more attractive to wildlife. Consider leaving grass clippings, branches, leaves and moss (all great nesting material). Rock piles and stone walls hide chipmunks, lizards and toads. Provide houses for birds and bats. Leave saucers of water on the ground for small animals and raised water for birds. Fish, turtles, frogs, toads and dragonflies will appreciate backyard ponds. After brushing your dog or cat, leave the fur outside for birds to use in their nests. Leave a patch of mud for robins and swallows to use during nest-building season. Plant an area of wildflowers for bees and butterflies. Provide a humming bird feeder (but be careful, they need to be cleaned refilled regularly). BEAUTIFUL PAINTED FALL TREES: If you're looking for a related art project you'll love this one from Sandi at Rubber Boots and Elf Shoes. I hope you enjoyed this book review and the activities. Be sure to visit the poets' websites, also! 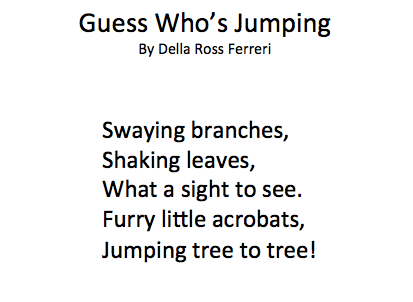 Della Ross Ferreri has written several children's books, plus stories and poems for various children's magazines. 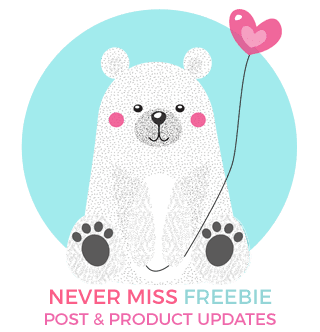 She has a beautiful website with some teacher guides, too! 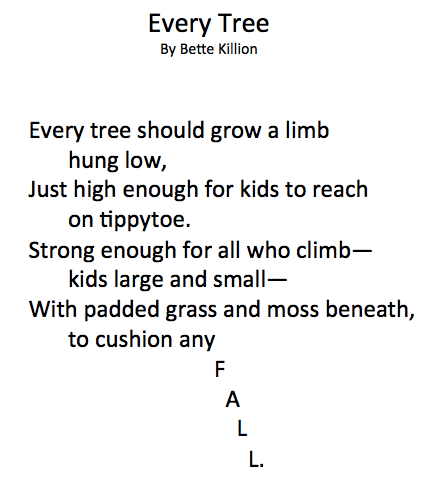 Bette Killion, sadly, passed away earlier this year at the age of 92. She was a poet and children's author (you can read a bit about her here). 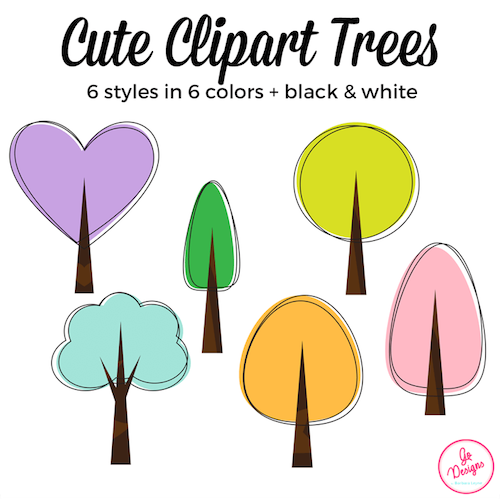 I also have some new clipart trees! They're big, they're beautiful and they include black lines, too! Or you can click the image below to see them at Teachers Pay Teachers. Thanks for stopping by. May something wonderful happen to you today! One of my favorite books to read around Earth Day - very meaningful for us as there has been a tug of war over a local forest between development and forest space. Thanks for all the activities and poems - and for the shout out to our Fall Trees project. Hi Sandi! Yes, it’s the perfect book for Earth Day. The forest versus development is hard to watch. Last year at school we’d go for walks in a little forest trail and then we started noticing bulldozers coming in along the fringes knocking over cedars to make room for more new houses. It led to some good discussions.